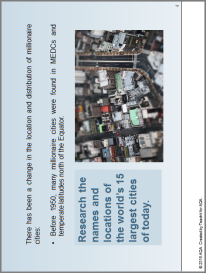 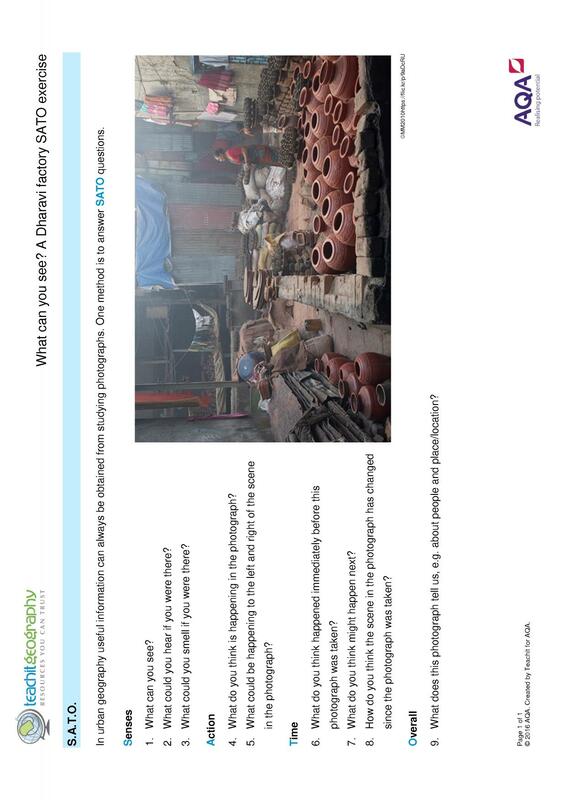 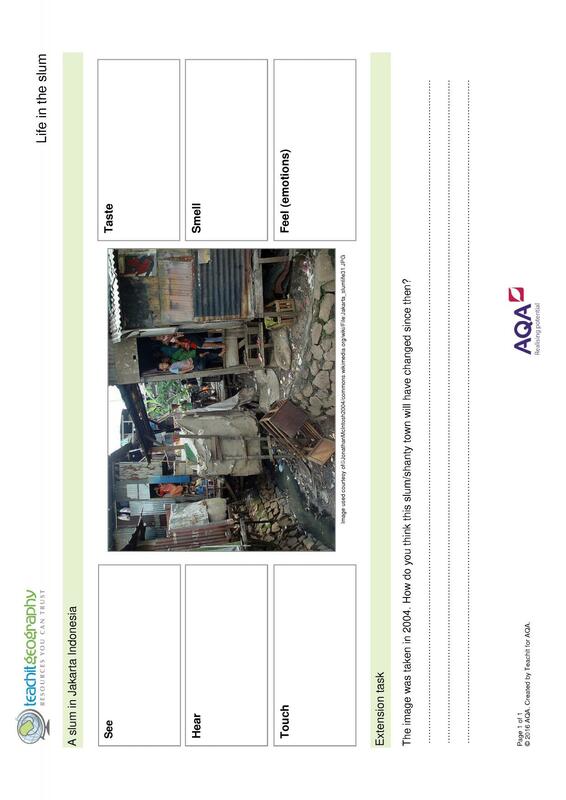 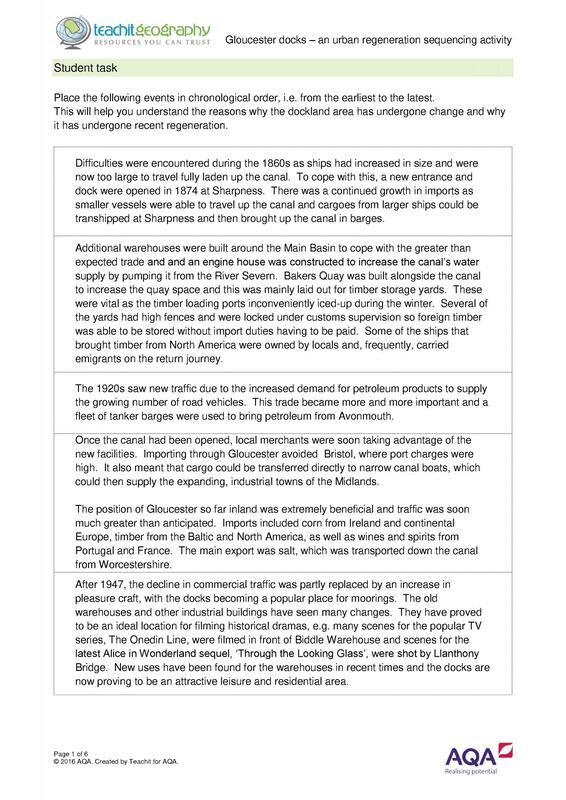 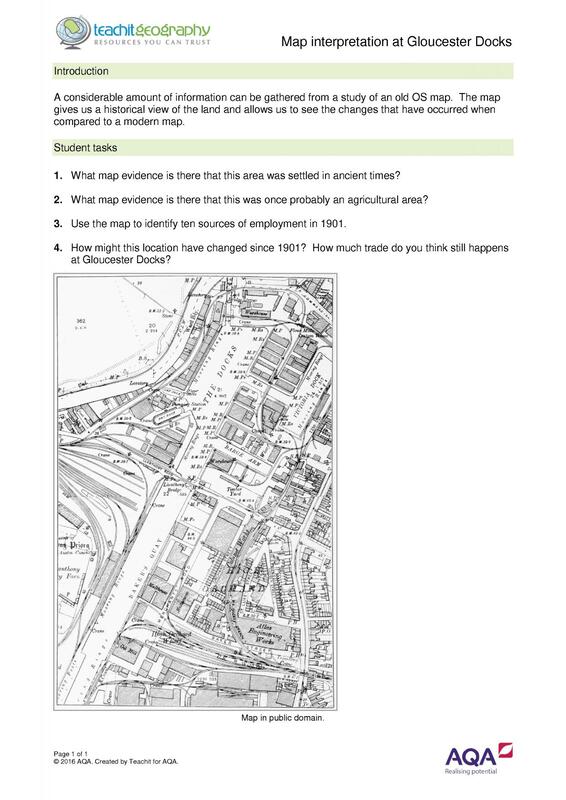 We have worked with AQA to create resources which support the new AQA GCSE Geography specification. 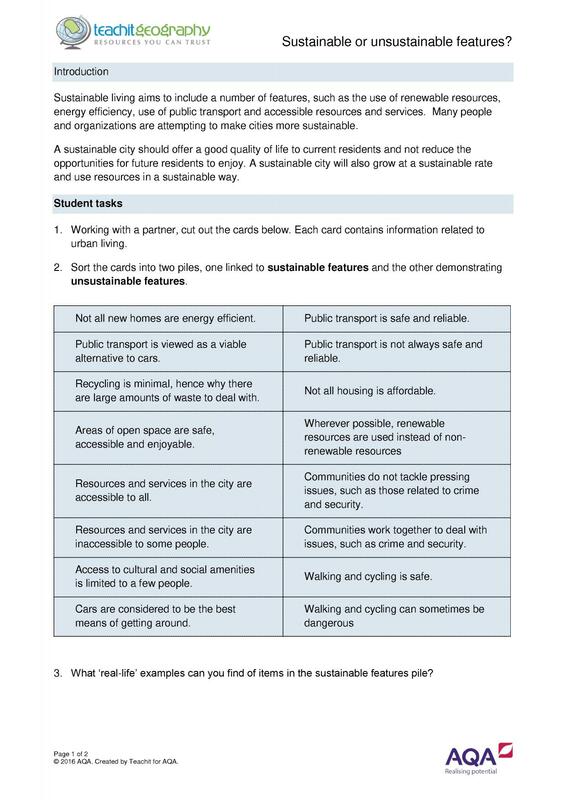 These resources are free and you can download the entire pack in one go, or pick and choose which resources you use. 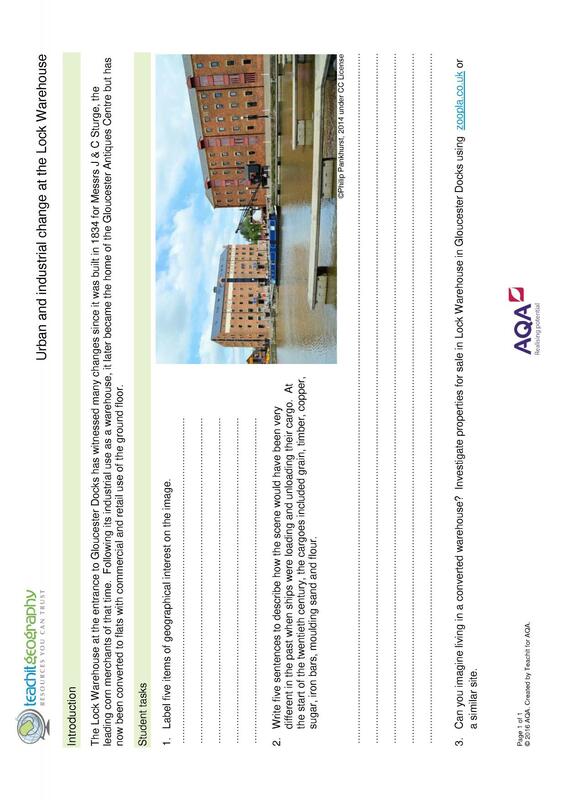 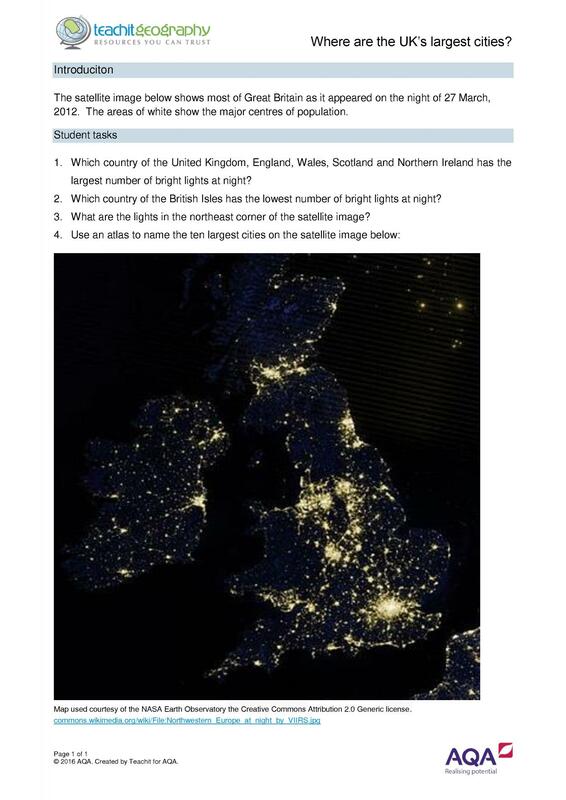 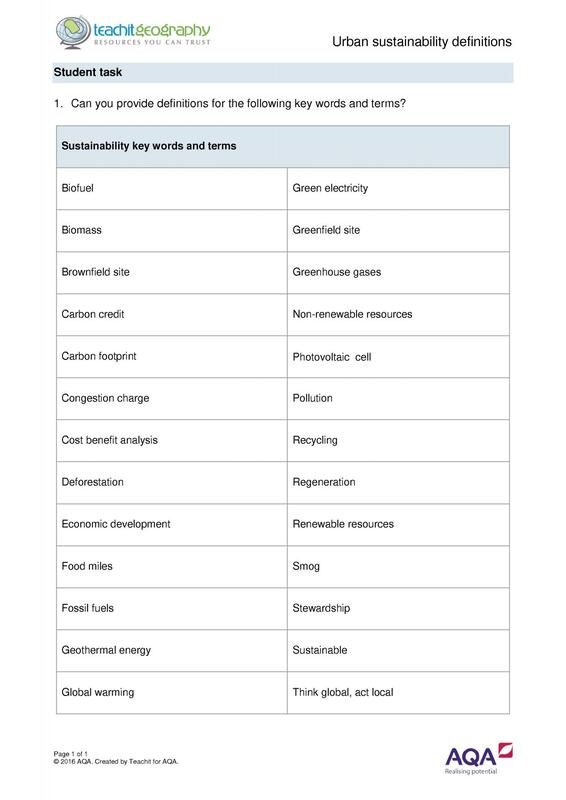 Read AQA's GCSE Geography specification. 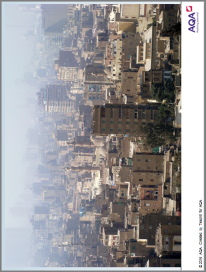 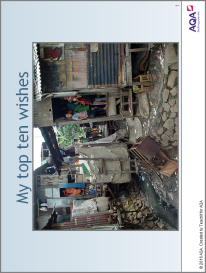 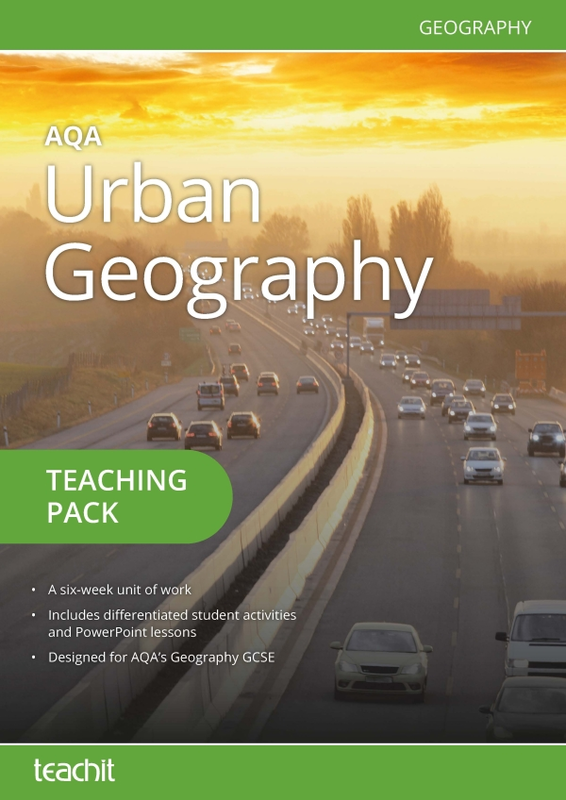 This six-week teaching pack covers the urban issues and challenges section of the AQA Geography GCSE. 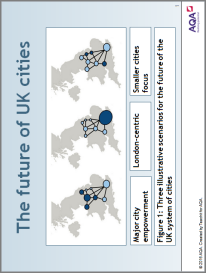 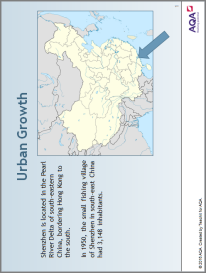 It looks at global urban growth patterns, impacts of urban growth on LICs and NEEs, urban changes in the UK and urban sustainability issues. 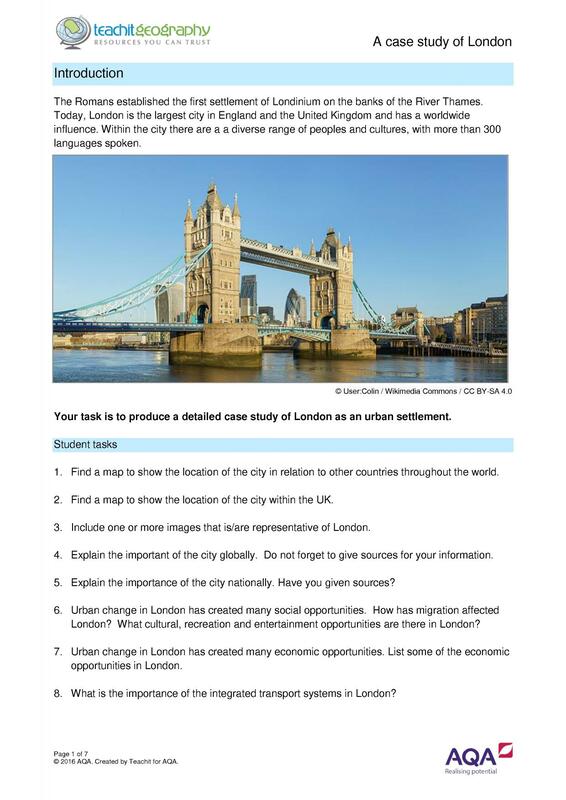 The pack consists of structured teaching ideas and tailor-made student resources, using a variety of teaching approaches. 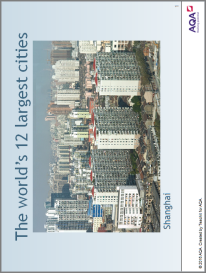 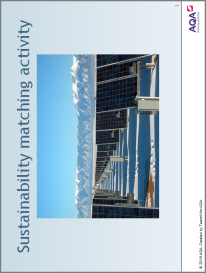 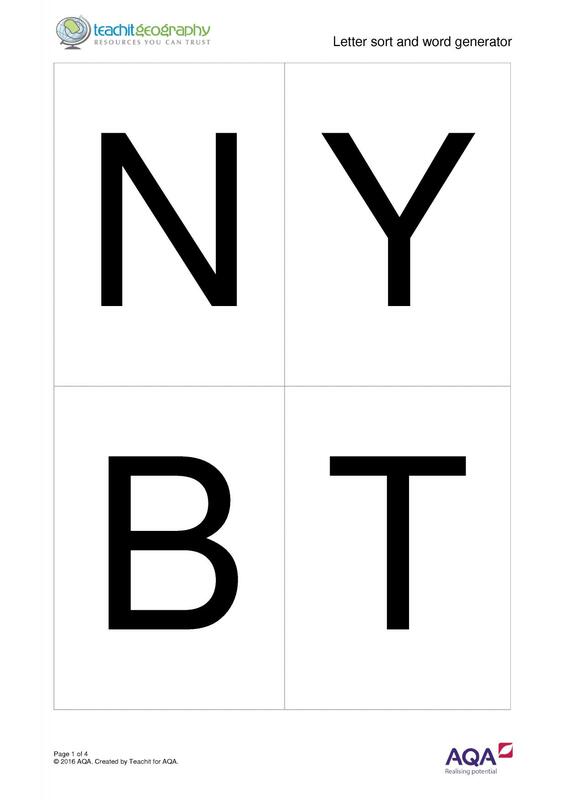 Brilliant resource, extremely useful although the six week timeframe is totally unrealistic. 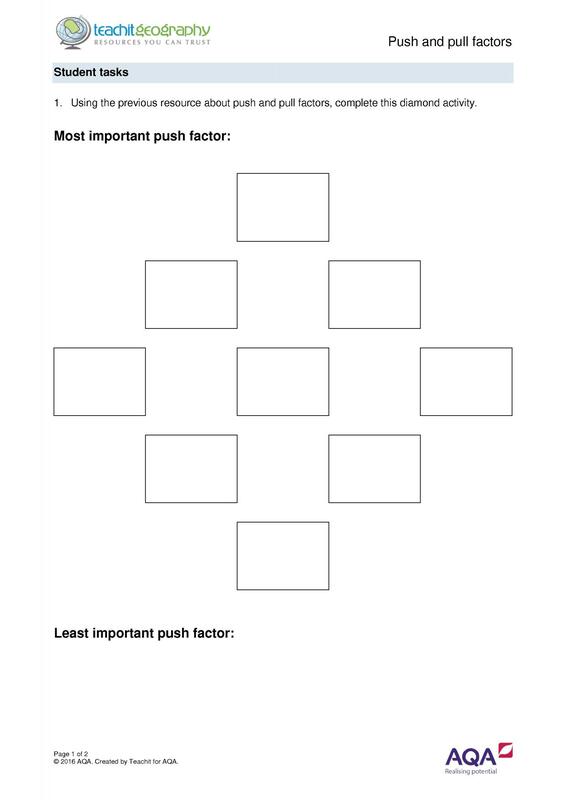 Thank you for producing this. 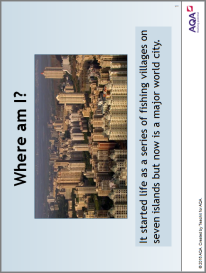 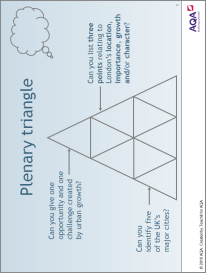 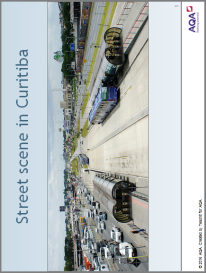 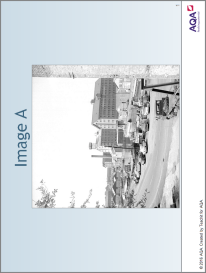 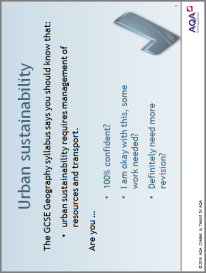 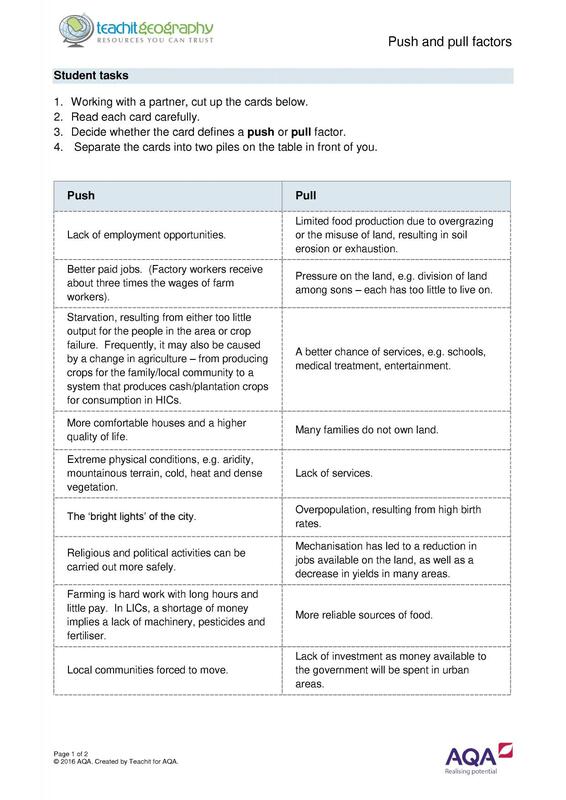 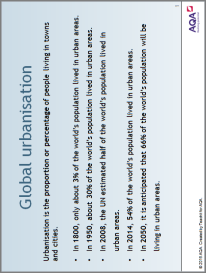 To gain access to the PowerPoint resources click on the [See other resources: Urban geography GCSE teaching pack] link above. 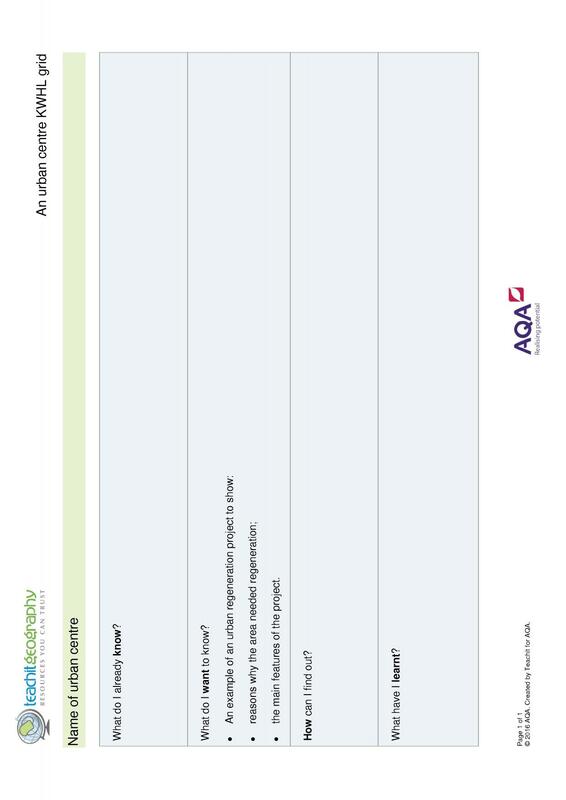 This will direct you to all the resources for the teaching pack. 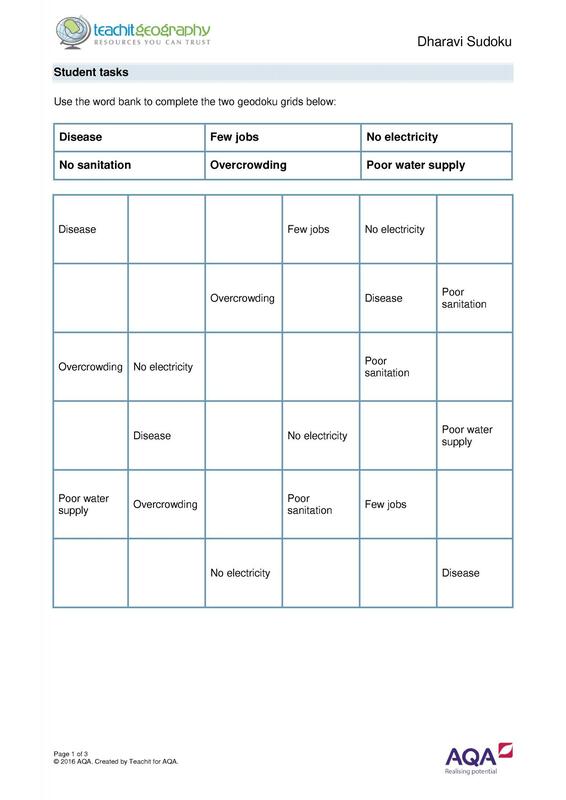 Where can I find the powerpoint slides mentioned in the scheme of work please? 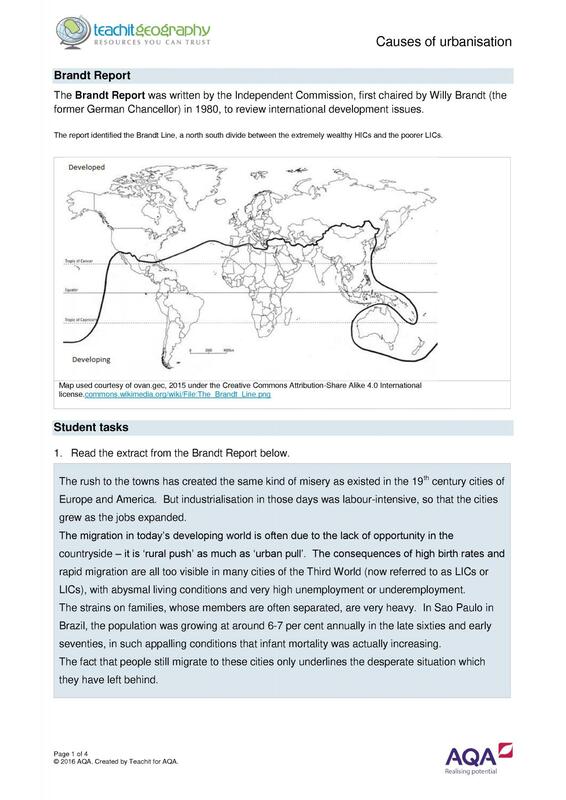 Thank you for all your hard work with this resource. 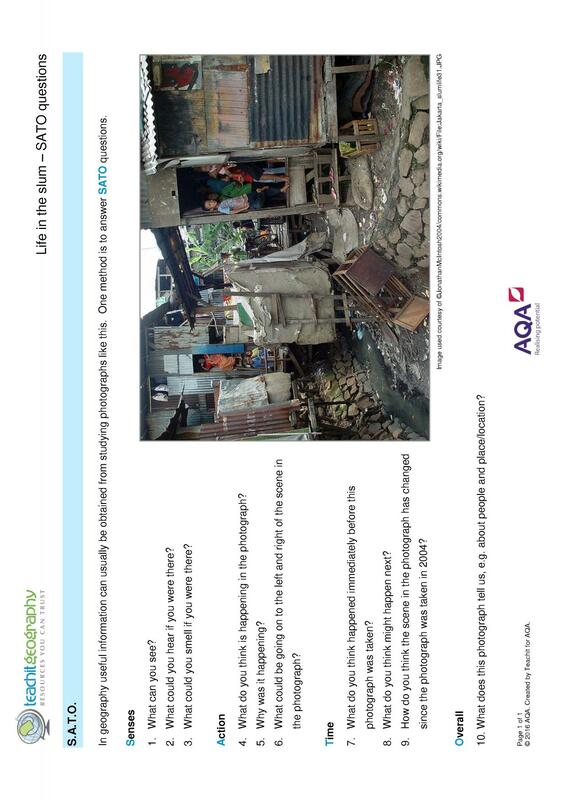 This is our first time teaching AQA so it is great to see how this ties into the syllabus. 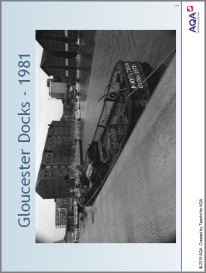 Amazing, just what I was looking for, thank you! 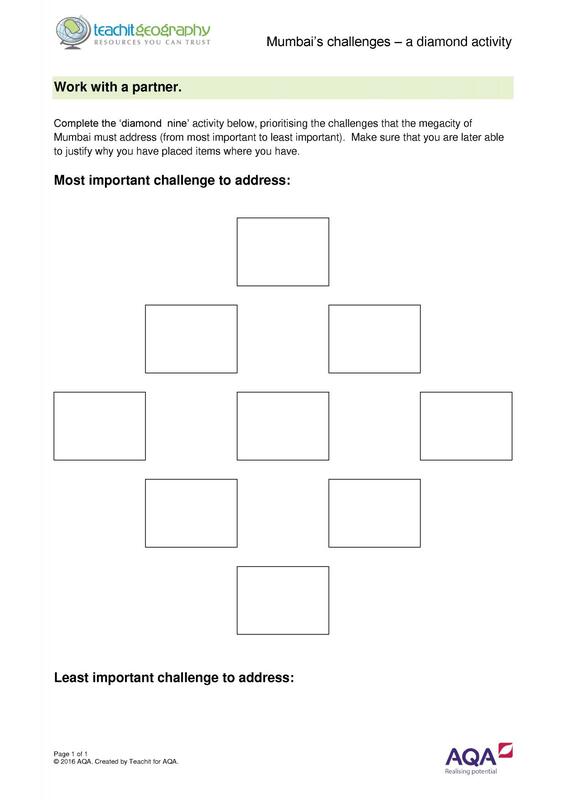 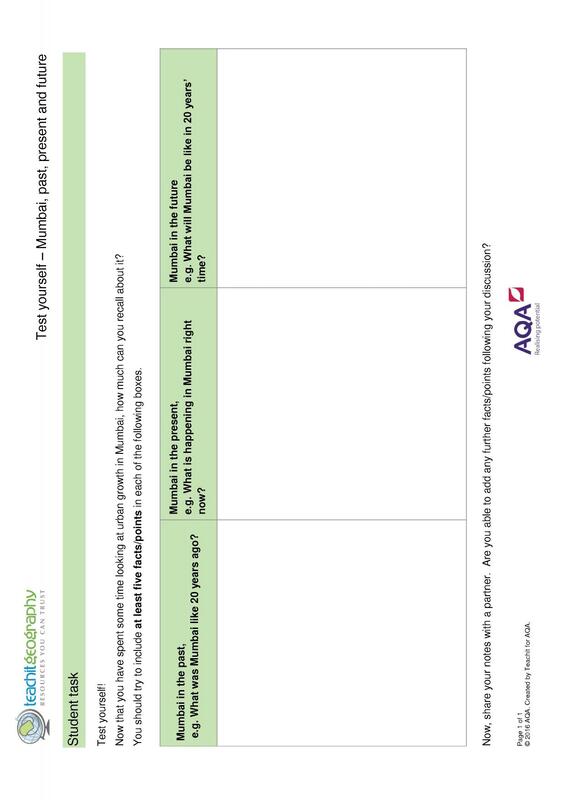 A very 'teachable' starting point, and a useful model for developing other AQA resources. 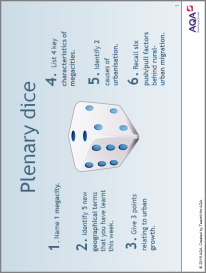 Excellent, a great starting point when putting together a new set of lessons. 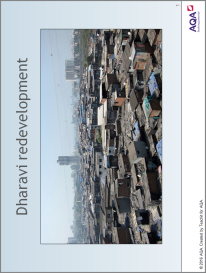 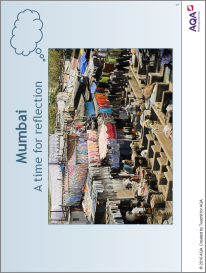 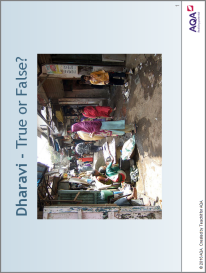 Dharavi - true or false? 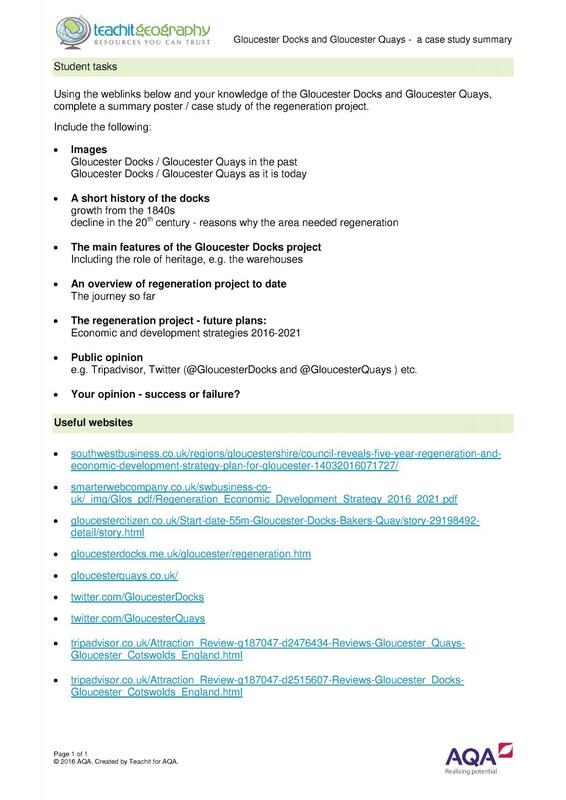 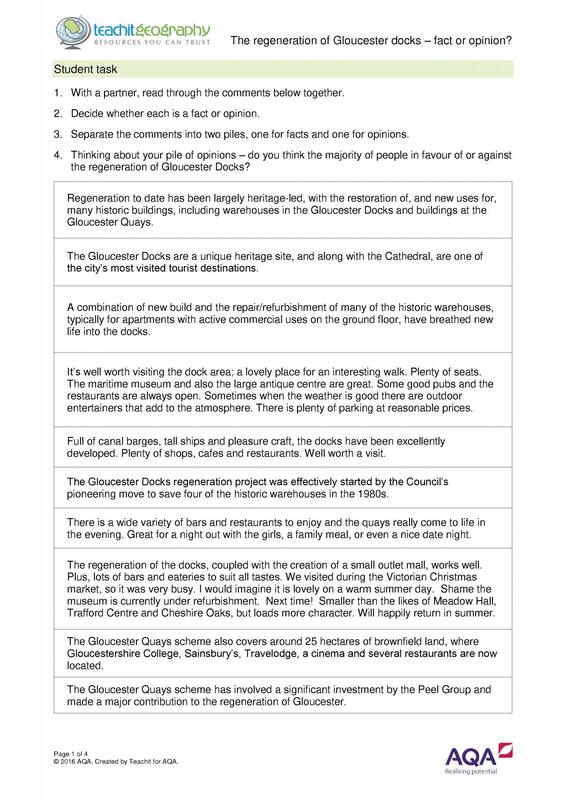 The regeneration of Gloucester docks - fact or opinion? 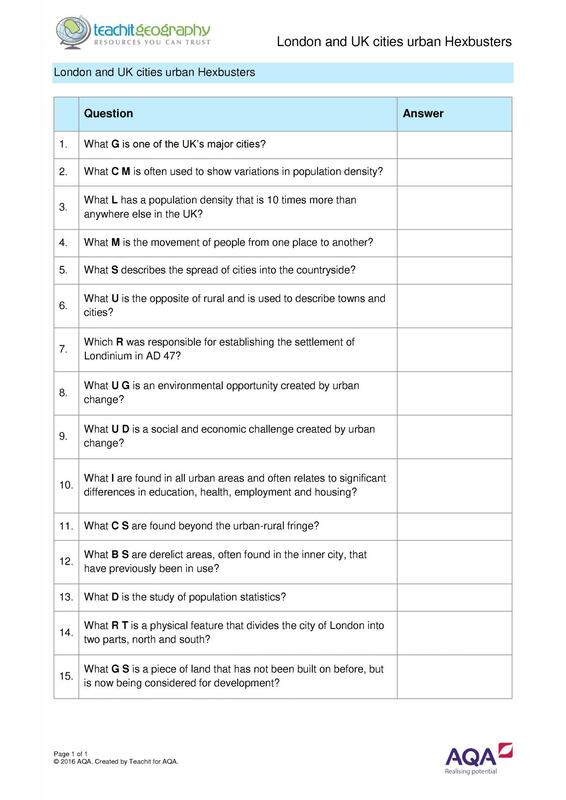 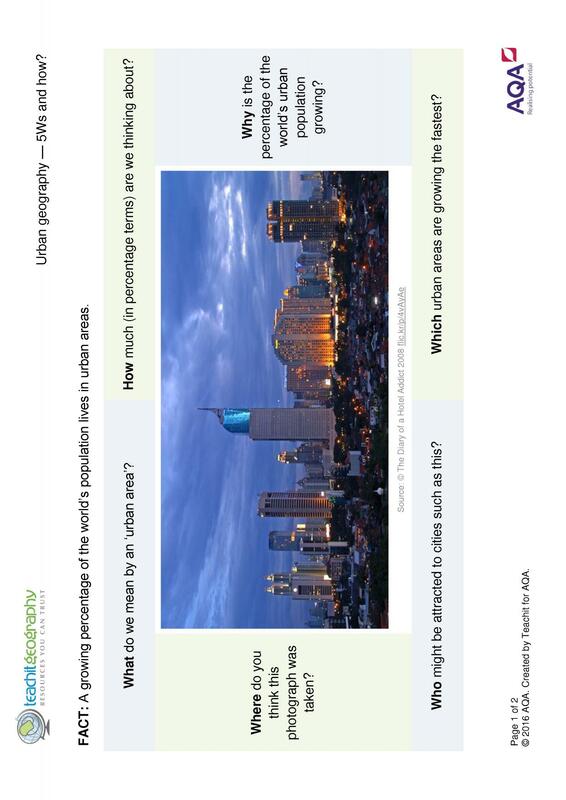 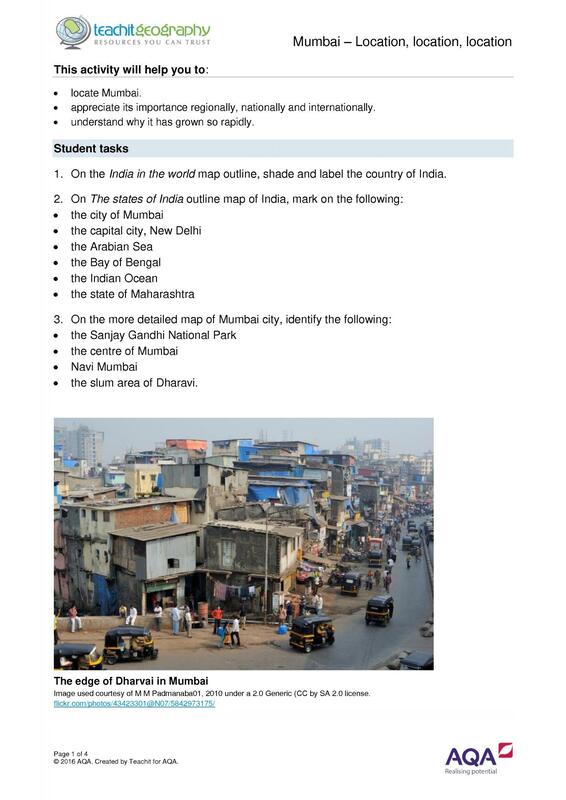 Urban geography — 5Ws and how?